Bluemark – a distinctive concept characterised by a detailed plan. 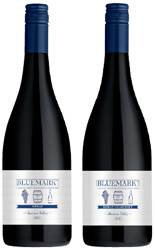 Bluemark wines are a reflection of the site where they’re grown and crafted through judicious winemaking. It was a cool year when some cool growers approached a cool winemaker and said “How ‘bout making some cool wine?”. “Cool” we said, “Cool” they said and away the project went. 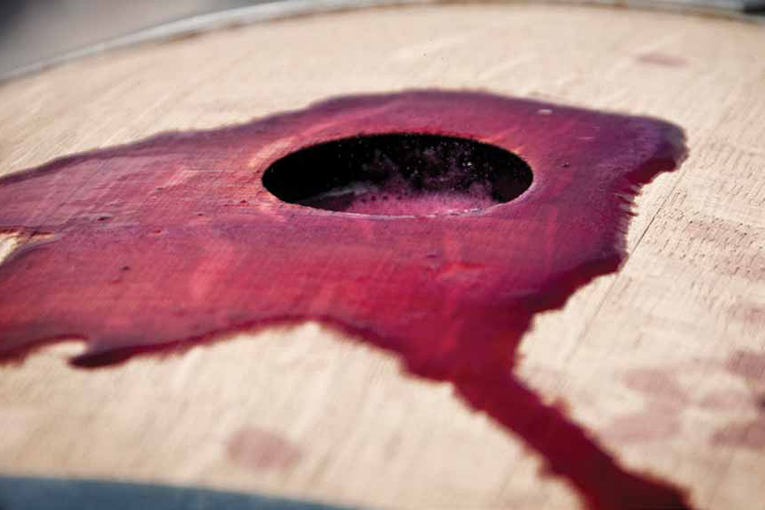 The wines were made and quietly slumbered in barrel until the time came to meet the bottle. Then a cry was heard “What’ll we call it? Struth we had better come up with a cool name. I reckon ‘Blueprint’” said one scratching his head, “Let’s ‘Trademark’ that” said another with a glint in his eye, then the older and wiser of the group cracked a big smile and shouted “Bluemark” and so the name for the wine was born. Grapes for Bluemark are produced by traditional Barossa grower families and predominantly in the northern areas, being Koonunga and Ebenezer, with a dash or two from other parts of the north-west finding their way into the mix too.